Hillary Clinton’s blood-stained fingerprints pepper Haiti. The false philanthropy of the Clintons is well-known at this point. Billions collected for “Haitian relief” that lined the pockets of the ruthless Hillary Clinton and her racketeering family. 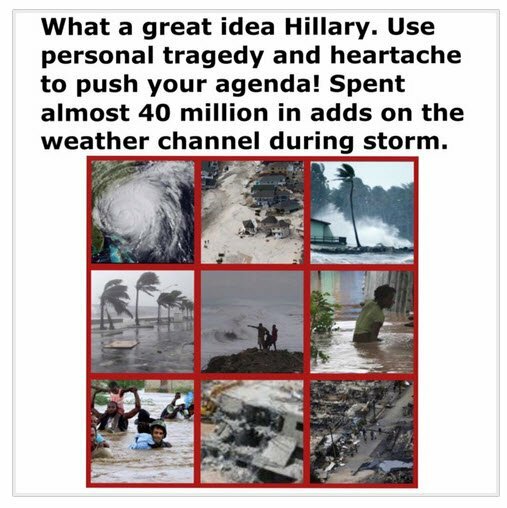 While 100 Haitians died in the wake of Hurricane Matthew, Hillary Clinton showcased her concern as she buys ads on the Weather Channel. Just how deplorable is Hillary Clinton and her rotten campaign? She’s trying to campaign off Hurricane Matthew and made an ad buy in Florida (on the Weather Channel). The Weather Channel is of course owned by NBC, so they gladly took the money. There are already over 100 dead from Hurricane Matthew in Haiti (remember, the country the Clinton Foundation stiffed after the earthquake?) Hillary Clinton yet again proves just how deplorable she really is. Trying to campaign off the possibility of people dying in Florida and what will be severe property damage. 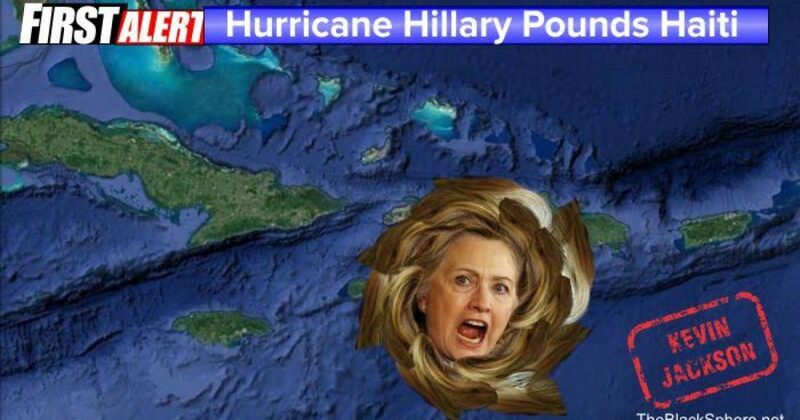 We mocked Clinton recently, asking the question just how did those two soccer field and that new police stations help the 300,000 Haitians in the path of the super storm?